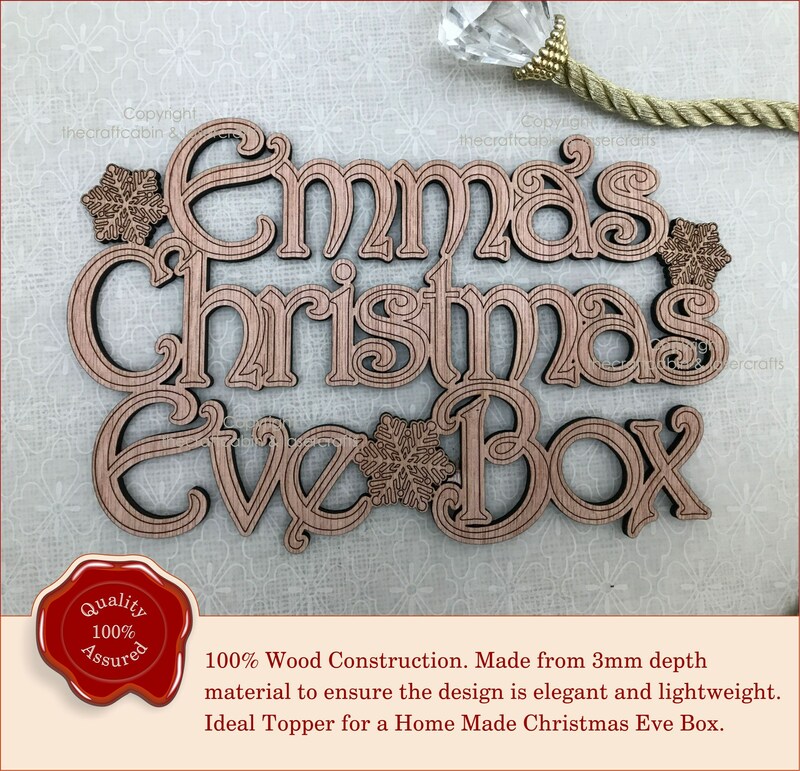 Personalised 'Christmas Eve Box' Topper - Snowflake Design Xmas Eve Wooden Sign/Plaque. 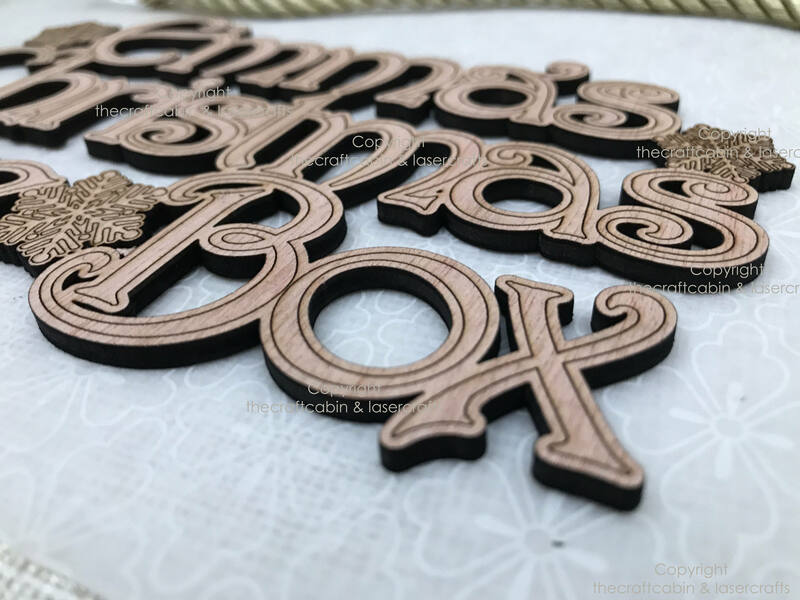 Advent Box Topper or Children's Christmas Eve Gift. 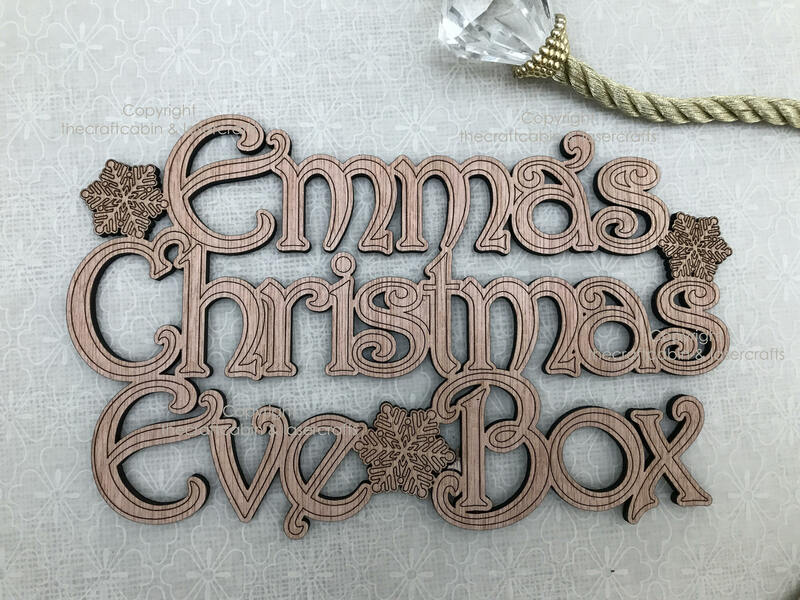 · Beautiful vintage-style, laser-cut & engraved wooden ''Christmas Eve Box'' Topper/Sign/Plaque, with Swirly, Curly font, and pretty engraved snowflakes. 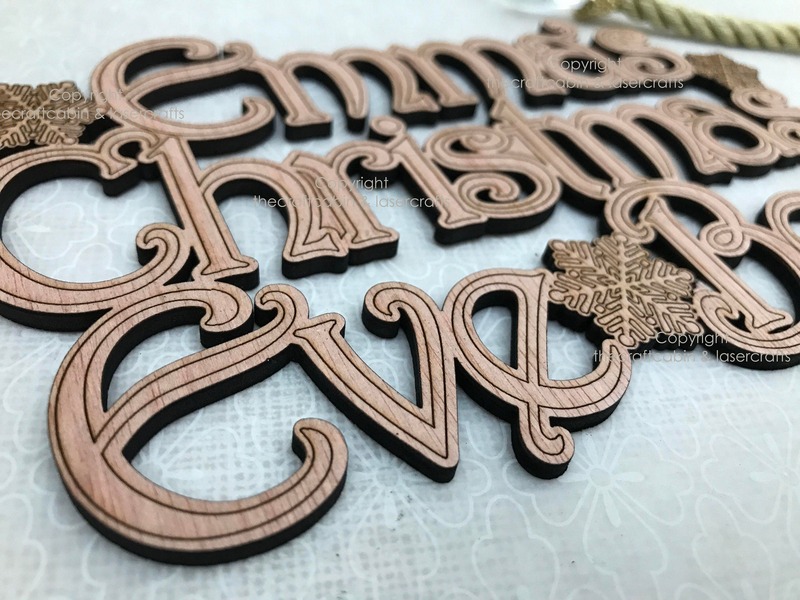 · Each piece is personalised with upto 4 individual christian Names/Family Name - max 24 characters. 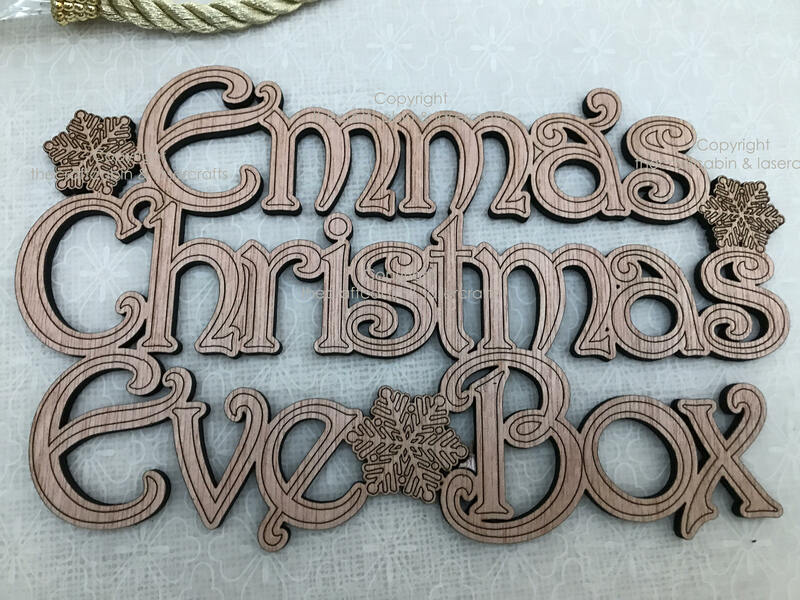 Please choose your option from the drop down bar.